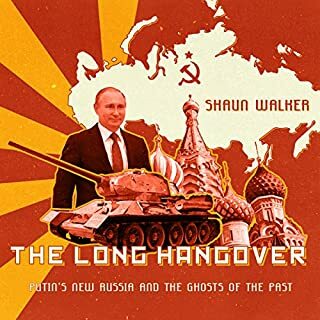 In The Long Hangover, Shaun Walker provides new insight into contemporary Russia and its search for a new identity, telling the story through the country's troubled relationship with its Soviet past. Walker not only explains Vladimir Putin's goals and the government's official manipulations of history, but also focuses on ordinary Russians and their motivations. He charts how Putin raised victory in World War II to the status of a national founding myth in the search for a unifying force to heal a divided country, and shows how dangerous the ramifications of this have been. A fair-minded analysis, rigorous yet very humane. Particularly helpful in debunking Putin’s myths about his attacks on Ukraine. 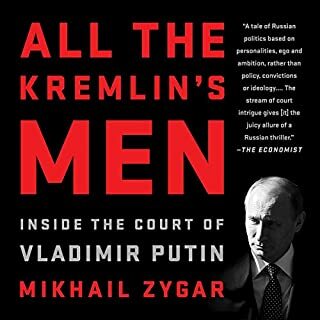 All the Kremlin's Men is a gripping narrative of an accidental king and a court out of control. Based on an unprecedented series of interviews with Vladimir Putin's inner circle, this book presents a radically different view of power and politics in Russia. The image of Putin as a strongman is dissolved. In its place is a weary figurehead buffeted - if not controlled - by the men who at once advise and deceive him. The regional governors and bureaucratic leaders are immovable objects, far more powerful in their fiefdoms than the president himself. This is a really good retelling of Putin’s rise to power and of the “collective Putin” that has run Russia through the first two decades of the 21st century. It provides a great deal of insight into intrigues and fills in important details missing from many Western analyses. The only criticism I have is of the narrator. Between his inability to pronounce key names (e.g. he keeps saying “Volushin” in lieu of “Voloshin”) and his unfortunate decision to voice quotations from Russians with an “Ensign Chekhov” accent, he has detracted from an otherwise riveting book. Naturally this book won't be for everyone, but as a Canadian observer of US politics, I found Clinton's book to be intriguing, and very insightful. In particular, her observations on what women face in political life - and indeed in all aspects of life - were frank, trenchant and fair-minded. 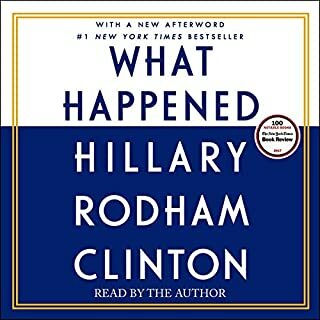 Those who voted against her, whether in the primaries or in the general election, will doubtless find much to mock or critique, but I think her story is interesting and worth listening to.